Inspired with the movie Floatsam my friends and I embarked in a day journey to Tangadan Falls. 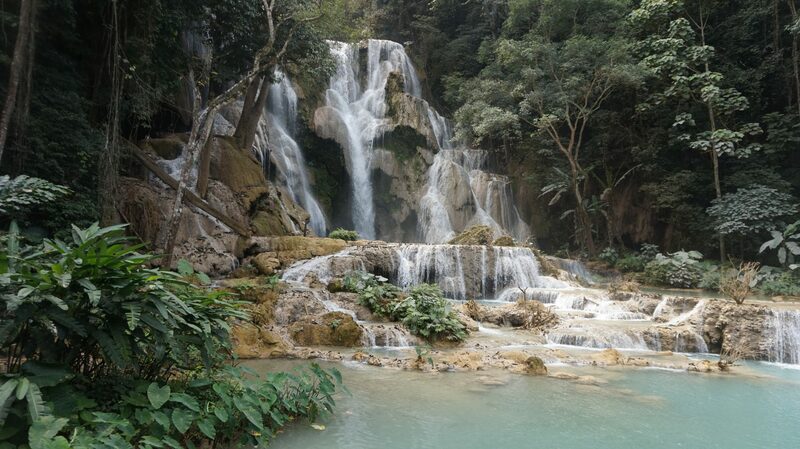 With the help of some useful blogs we discovered that this falls is located in San Gabriel, La Union. We started at 7:30 am via Partas bus from Baguio to San Fernando City La Union. You can also take 6:30 am Partas bus which I highly recommend if you are travelling on the weekends since you expect some traffic along the way. The bus fare costs Php 100 per person. If you are a student you can bring your student identification card and show it to the conductor to avail of 20% discount. From San Fernando we took the San Juan jeepney in the old market, it stops until San Gabriel. The fare costs Php 26 per person. After that ride a tricycle going to where you will start your hike to Tangadan. The tricycle costs Php 20 per head but it varies because on our way back the tricycle driver only charged us Php 75 for four of us. For first timers like us, it is advisable to get a guide. The hike is quite long because you can’t help to pause and take a picture of the scenery. They are truly ahh-mazing. We tried to contact a guide for our team but with some miscommunication he wasn’t able to guide us. Luckily after a few steps along the way we met Kuya Fred. We asked him some directions in going to Tangadan but he volunteered to guide us. He didn’t gave a specific price he just told us it is up to us. He also informed me that Tangadan has three stations. Station 1 is the diving spot, 2 is the falls and 3 is on top of the falls where in you can see a nice view and you can dive from this spot. I am not really sure how deep this is, you should go to try it for yourselves. haha. You can take some rest here. There’s also a store selling beverages and snacks. Kuya Fred told us the river is 15 meters deep. It is advisable that you are a good swimmer or hire a life vest. The rent for life vest is Php 50 each for the whole day. There are also cottages available that costs Php 200 and if you want to ride a raft it costs Php 170 for an hour. Station 3: On top of the Falls. Some parts of this station require climbers to remove their footwear. Kuya Fed told us we might slip and fall. Safety first. There is no entrance fee or environmental fee in going to Tangadan. When you reach station 2 you just have to register. The place is really good, the air is fresh and the water is crystal clear and clean. I just hope visitors are responsible enough to throw their garbage on the trash bin or simply carry it with you. You wanna be close to nature and away from the city noise? Then, visit Tangadan. P.S. Bring your sun block if you don’t wanna have sun burn. It was freakin’ hot when we went there so bringing a cap is also advisable and carry with you liters of water.